You’ve been planning this for your entire life -- you’re engaged, have the perfect wedding theme and idea, and you’re ready to make your wedding day dreams a reality. 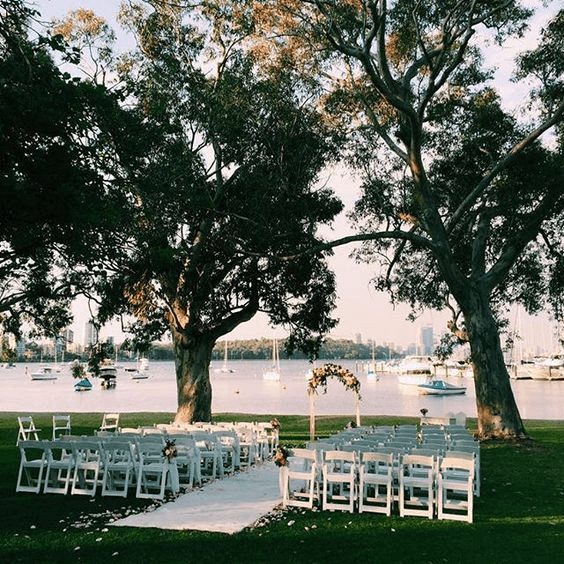 It’s time to pick the perfect venue for your waterfront wedding. Lucky for you, Maryland and the eastern coast have a ton of beautiful waterfront wedding venues to choose from, each offering a little something special, which can be hard to sort through.  That’s why we at Smokehouse Grill are here to show you our favorite waterfront wedding venues in addition to plenty of ideas for adding some Maryland flare to your perfect venue. Set right on the Chesapeake Bay, Swan Harbor Farm is the waterfront wedding venue in Maryland with tons of charm, space to spread around, and 18th-century history. Featuring a beautiful farmhouse, landscaped gardens, a tented reception area, a gazebo, a 300-foot fishing pier, and plenty of beautiful views, Swan Harbor Farm is the venue that is sure to make your jaw drop. Swan Harbor Farm has an indoor capacity of 125 guests and a tented capacity of 250 guests, making it a great location for larger or events. 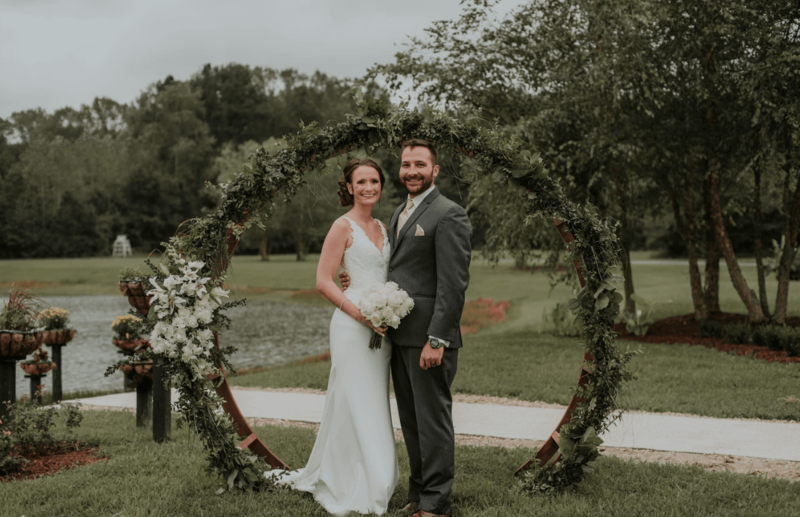 Located near the Maryland Eastern Shore, Smokey Hollow the beautiful wedding venue that provides a wide variety of options for your wedding day. On top of having views of a freshwater pond, you’ll have plenty of outdoor space for a reception and access to either the manor or the barn for the reception of your dreams. Great for hosting up to 600 guests, Smokey Hollow is one of the best options for accommodating to large crowds. Designed to be a bit of a blank slate that allows the beautiful surroundings to speak for themselves, you’ll have the ability to fully customize Smokey Hallow to be the picture-perfect venue you've always wanted. As the wedding venue that offers a little bit of everything, Matapeake Beach & Clubhouse is one of the most-desired Spring and Fall waterfront wedding venues in Maryland. Jam-packed with history from a restored ferry house, Matapeake Beach & Clubhouse is charming yet not overstated, allowing you to personalize your big day with whatever your heart desires. Matapeake Beach & Clubhouse is able to accommodate a reception of up to 250 guests in the outdoor space and has a private beach and lawn, giving you and your guests plenty of room to spread out and experience the best of the Maryland waterfront. 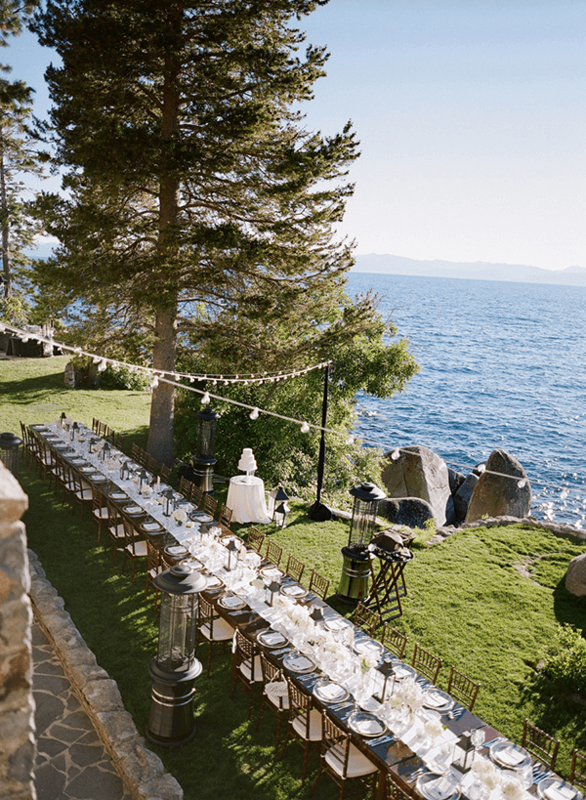 A dilemma many couples encounter with waterfront weddings is their desire to utilize the shoreline as much as possible. However, you may be tight on space if you only have a narrow strip of beach. Bring your venue directly against the coast by using one long table for your reception. Not only is the long table great for these narrow strips of land, but also makes for some awesome wedding photos. At an outdoor wedding in Maryland, laid-back dining is a natural fit. Smokehouse Grill is the best wedding caterer in Maryland for casual and upscale wedding catering. Bringing the best of Maryland to your wedding, Smokehouse Grill can turn your wedding into a crab bake or seafood extravaganza. Including delicious crab cakes, steamed crabs, oysters, and more, Smokehouse Grill’s seafood menu is something you have to see to believe. 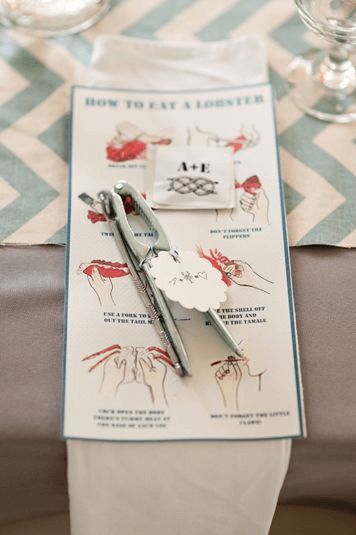 To help out of town guests and newbies to the crab bake, create a custom-made how-to for cracking crabs (we know this picture shows lobster.. But imagine the possibilities!). A huge perk to choosing a waterfront wedding on the beach is the ability to spread out and enjoy beautiful views. Create a truly unique experience for your guests by turning your wedding into a 360-degree experience. 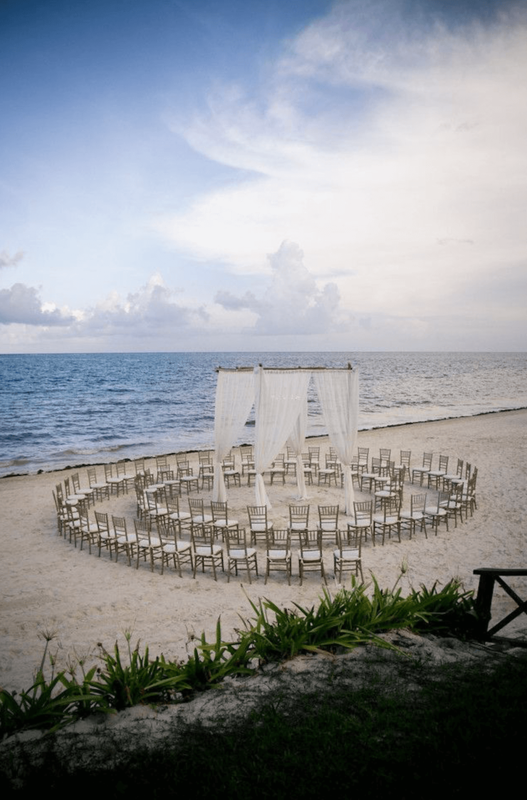 Get creative with your ceremony's shape, feel, or design. Waterfront weddings leave open a wide array of possibilities for fun, unexpected decorative touches. If you want to keep the Maryland waterfront at the forefront of your design without being too flashy, try out these cute Chesapeake-inspired touches. Complete with sailor knots and golden crab charms, this decor will make Maryland natives feel right at home. Traditional coolers and tubs of beverages are a thing of the past. 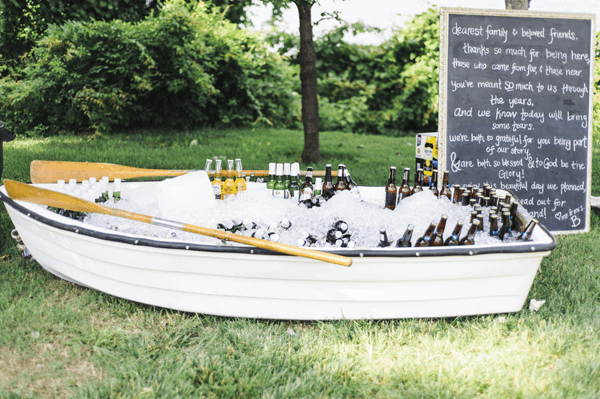 Bring your waterfront wedding to the next level by filling a rowboat with ice, turning it into the ultimate beer cooler. You’ll have plenty of space for not only beer, but water bottles and cans of soda as well. 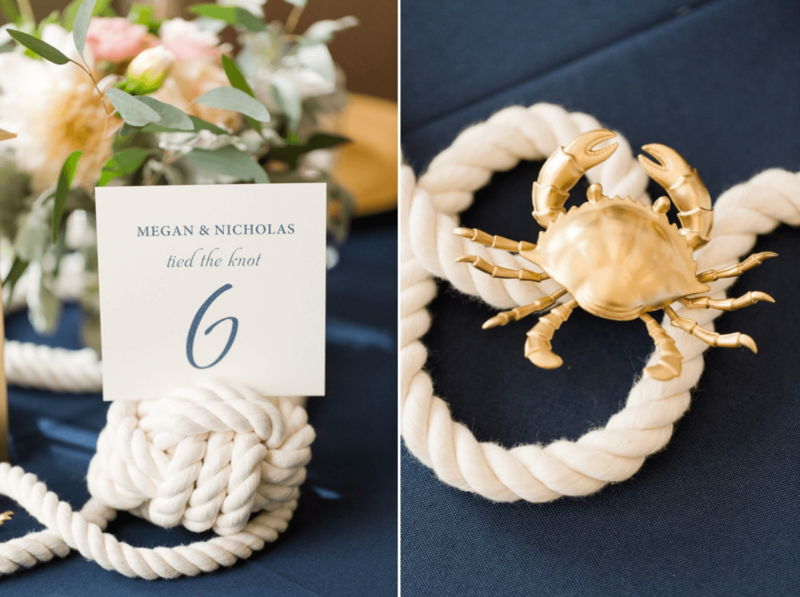 This nautical touch is sure to be a conversation starter and something your guests remember long after your wedding day. 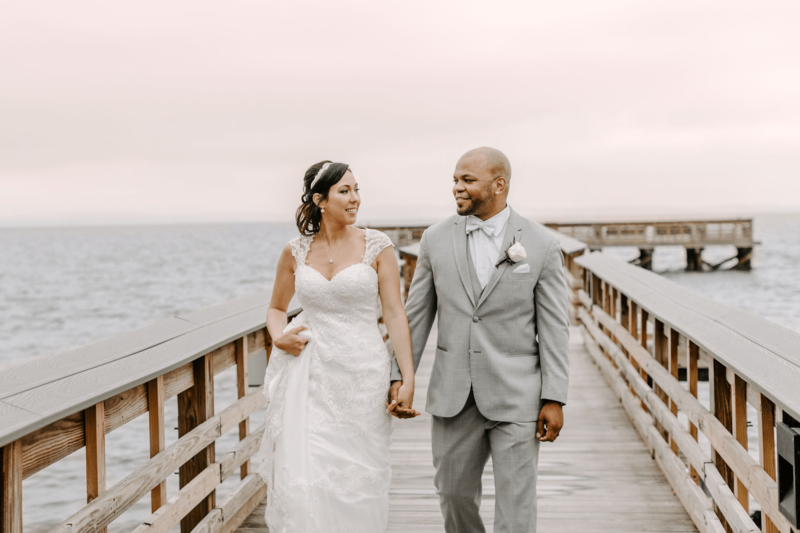 When you think waterfront weddings, your mind instantly goes to the beach: toes in the sand, waves kissing the ankles of your guests, and crabs scurrying over the bride’s train. Open your mind to the possibility of having your waterfront wedding set on a grassy or paved area, using the water as your backdrop. Not only is this much easier for your guests regardless of their choice of footwear, but often allows for more depth and interest in your wedding photos. Planning a waterfront wedding in Maryland leaves open a variety of possibilities for venues, decorations, and food. For all your catering needs at your Maryland wedding, get in touch with Smokehouse Grill. We’ll work with you to create a menu that fits your theme, budget, and the appetites of your hungry guests.